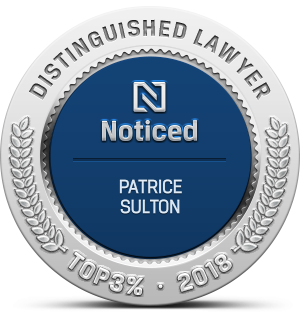 Considered by colleagues and clients alike to be among the premier young criminal defense attorneys in the District of Columbia, Patrice Sulton has prepared and argued hundreds of cases at the district, state, and federal levels. Her experience includes successful defenses and positive resolutions on charges spanning the misdemeanor-to-felony spectrum, including drug offenses, weapons charges, and assault allegations. Patrice has successfully argued for charges to be dismissed based on police and prosecutorial misconduct, including unlawful stops and searches, failures to disclose evidence, involuntary confessions, improperly delayed trials, and other abuses of power and authority. Her commitment to reaching an optimal resolution extends beyond trial advocacy to include record sealing and expungement, civil protection (“restraining”) orders, forfeited property recovery, and probation and parole proceedings. "When we went to trial Ms. Sulton absolutely demolished the prosecutor. She is confident when she speaks, has everything planned out, and is well prepared. She left no doubt in anyone's mind that I was indeed innocent, and poked holes in the prosecutor and witnesses statements with ease." Patrice believes that every person who has the misfortune of interacting with the justice system should be fully restored to the position they would have occupied if they had never been arrested. For many clients, true freedom requires more than an acquittal, it requires compensation for the damages endured. Patrice has taken on police organizations for excessive force and racial profiling. She has also represented clients seeking redress from jailers who engage in unlawful detention practices. And, she accepts cases alleging discrimination in housing or employment on the basis of criminal history. "Patrice was an excellent lawyer that did not back down from a high profile case that other lawyers were scared to take. She was relentless in dealing with every detail of the case and was victorious in the end. 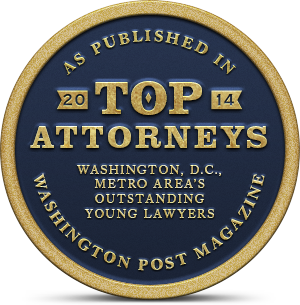 I highly recommend her as a lawyer and would use her again if need be."